You order a Strain Genie DNA cannabis test kit. Our lab sends you the kit (Free Shipping!). You provide a saliva sample using the kit. You send us back the sample (Free Shipping!). We send you a personalized cannabis-health report. What do I get from ordering this test kit? Order your Strain Genie Cannabis DNA Test Kit and we will ship you a kit to collect your DNA. We will then process that DNA via our lab partners and analyze it using our proprietary algorithms. As a result, you’ll receive a personalized cannabis-health report full of personalized product recommendations that you can order online from dispensaries in your area. Your kit will also include instructions on how to register your kit, take our online questionnaire, and review products. *Pre-Paid return labels are only available to purchasers in the U.S and Canada. Purchasers in other countries will need to procure their own postage for returning their samples. What happens after I mail back the kit? Once your data is processed by our team, you will receive an email with access to your personalized cannabis-health report within an online dashboard that will immediately allow you to order products online from nearby dispensaries. Check out what to expect by viewing a Sample Report. 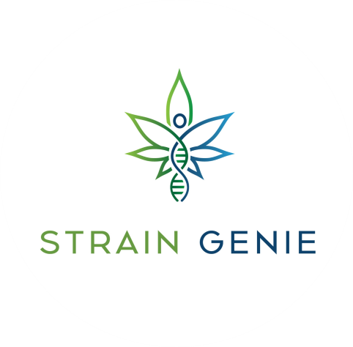 Learn more about how Strain Genie works, here. If you’ve already been tested by another commercial genetic sequencing company, you can upload your raw data for processing. Shipping will take 3-5 Business days each way (the lab to you; you to the lab). Processing time will take 2 weeks. The total time from placing an order to receiving your results is 3 weeks.